Branding is one of the key marketing areas that you need to master. Creating a consistent brand image is important for name recall. With product labels, you can extend your branding from your business logos into the products that you are selling. Great packaging is essential to attract customers. Here are 7 steps on how to design product labels. 1. Start with a basic layout. There are a lot of elements that you need to include in your label. The most important things are your brand logo, your product name, and other visual elements. For food items, you should also include ingredients and nutrition facts. With a lot of elements that you can put on a label, it’s easy to make your label look cluttered. A cluttered label is visually noisy and potential customers might be put off with your design. The key here is to make your label balanced, or to some extent, symmetrical. Plan ahead by creating a rough draft of your layout. When you are satisfied, you can now proceed to designing the visual elements themselves. 2. Create a brand-consistent design. This is probably the most important step in designing effective labels. Creating a product label that is consistent to your brand is important for your business. Brand-consistent design makes your product labels memorable and distinctive which helps in name recall. For example, you can use brand colors in your labels across your product lines to make your target market associate these colors to you. Couple this with an eye-catching visual design and the quality of the product itself, you will have the perfect trifecta that will make your products a treat to your customers. 3. Pick the right label size for your container. From pouches and bags to bottles, cans, mason jars, with matching square or round, clear or textured containers, there are quite a handful of containers where you can put your products in. You should keep your product containers in mind when choosing the right size for your product label. If the product is not that aesthetically pleasing, you may want to use an opaque container with a big label that covers everything. But if you want to showcase your product’s appearance, such as a sparkling wine or honey, then you may want to use a smaller label. 4. Use the right label stock and coating that matches your design. Probably one of the most overlooked aspects of label design is the finishing that you can apply to your labels as well as the stock itself. There are two types of stock that you can use for product labels—paper and vinyl. Paper is a great all-around stock that is cheaper than vinyl. It’s not waterproof so it’s not recommended for wet products. Vinyl is waterproof so you can use it for products that gets exposed to condensation without affecting the design. You can also apply matte, gloss, and high gloss coating to your label. Matte is great for a rustic, homemade feel while gloss can give out a premium effect on your product. High gloss is a very reflective gloss finish that is also UV-resistant so it is great for both indoor and outdoor use. 5. 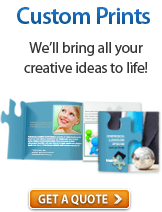 Choose an online printing company that offers free proof. There are a lot of online printing companies that offers customizable label printing. Choose a company that offers the label sizes, stocks, and coating that you need for your label design. 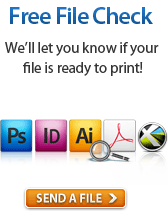 Choose an online printing company that offers free proofing, fast turnaround time, and affordable prices. 6. Review the proof to ensure no mistakes. 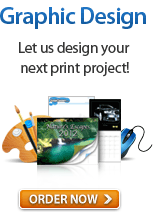 When you send in your design, your printer will give you a proof to ensure that your design is press-ready. Take note of the things they may require to ensure a hassle-free label printing experience. These are usually your image resolution as well as the bleed and trim area around your artwork. Your image resolution should be at least 300 dpi. The color mode should be in CMYK instead of RGB to ensure accurate colors when printed. Also, you should account for bleed and trim to prevent important elements from being cut during the printing process. As always, you should proofread your content. 7. Take note of turnaround and shipping time. When you print labels, you usually have the option for the printing turnaround. Turnaround time is the total time from your approval of the proof to the time your labels are ready for shipping. Shipping time is the time from the shipment of your labels to your receipt of the package. Learn how these things work to prevent delays. PrintRunner offers top quality label printing service with custom options and affordable prices. Check out our label printing page to start making your label design.